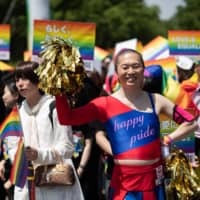 Japan has undergone significant social and cultural change over the past 50 years, and a chestnut-haired, saccharine doll affectionately named Licca-chan has seen it all. While fashion and pop culture trends have changed, the dress-up doll’s popularity is arguably as strong as ever. More than 60 million units have been sold both at home and abroad — most notably, in Taiwan — since it was first released on July 4, 1967. Licca-chan was first produced by Takara Co., the forerunner to Tomy Co. 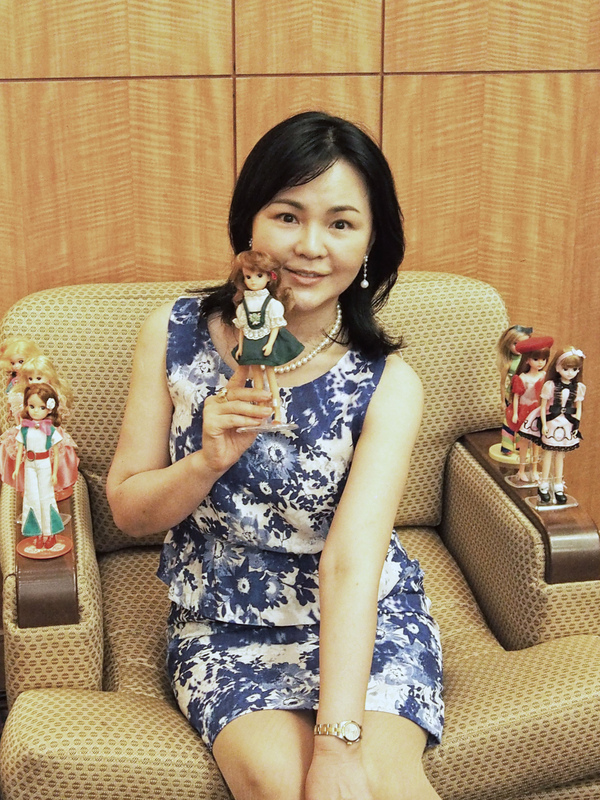 The companies later merged and became Takaratomy Co.
Maiko Murayama, a public relations officer at Takaratomy, says that Licca-chan struggled in the 1990s but has since bounced back. According to Japanese news reports, the doll suffered a decline in sales after rival goods based on manga and anime characters for girls such as Sailor Moon grew in popularity. Licca-chan is instantly recognizable by her cute, innocent appearance, possessing sparkly manga-style eyes that always look slightly to the left. Licca Group Product Development Manager Ayumi Kinoshita unveiled this year’s Licca-chan model at the recent International Tokyo Toy Show. The 2017 model boasts pink- and aqua-colored hair that changes when placed next to a special light. Takaratomy releases 50 new products each year, including new models, friends and family, houses, accessories and workplaces. Kinoshita believes the compositional design of Licca-chan’s face, which has an ambiguous expression akin to Japanese toys such as traditional kokeshi dolls and Hello Kitty, is part of her appeal. If you compare the latest Licca-chan to the original model, it is evident that much has changed over the years. Indeed, the dress-up doll has gone through a total of four different “generations,” where everything from her height to her facial structure has evolved to reflect the times. The first generation was produced by Takara Corp., which at the time was a vinyl production company. Takara had hoped to use its technical knowhow to make a dollhouse in which to keep toys such as Mattel’s Barbie and Ideal’s Tammy doll. However, the dollhouses made to fit Western toys were too big for many Japanese rooms and so when planning new products for the domestic market, including a fold-out house that was better-suited for playing on tatami floors, Takara decided to make an entirely new doll as well. 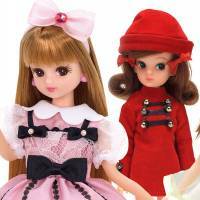 Takara had been awarded the licensing rights to make Barbies in Japan. But Yoshino Hakata, assistant general manager of Licca-chan Castle, a theme park and museum in Fukushima Prefecture, says the U.S. doll wasn’t very attractive to domestic buyers. 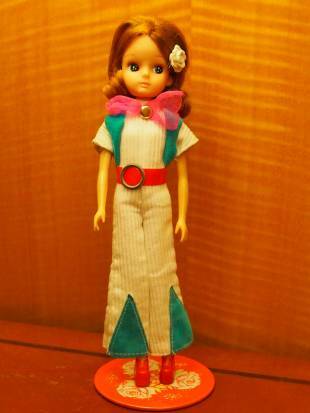 Murayama adds that Barbie’s relationship with her boyfriend, Ken, was also “a bit too much” for the domestic market, so Takara produced a dress-up doll that Japanese children could feel an emotional affinity with. Licca-chan was created to be closer in age to the girls who owned her, and her narrative focused on family and friends — although she was eventually given male friends as well. The original Licca-chan model was 21 centimeters tall and featured apricot-colored lips, a slightly bent nose and a white glint in her eye. Her last name, Kayama, was inspired by musician Yuzo Kayama and actress Yoshiko Kayama. Manga artist Maki Miyako provided the visual inspiration for the first Licca-chan, which was sold with a booklet that featured an illustration by Miyako on the cover. Over time, Takaratomy has given the doll a detailed character background. 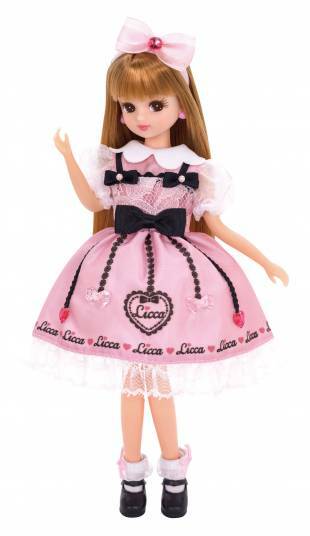 Licca-chan is an 11-year-old fifth-grader at Heart Hills Gakuen. Her father is a French musician and her mother is a Japanese fashion designer. She loves to dress up and is a bit goofy. She excels at drawing but is not so good at schoolwork. She constantly worries about the whereabouts of her father, who has traveled to France. The first generation of the doll was sold from 1967 to 1971. It was quickly followed by her mother and friends, as well as a suntanned version called Pichi Pichi Licca. The Japanese generation of baby boomers had more disposable income than their parents and a growing interest in global fashion. As a result, Licca-chan often mirrored overseas style trends such as garments worn by the counterculture movement of the hippies, embracing the domestic miniskirt craze sparked by British model Twiggy’s visit to Tokyo in 1967. Konan Women’s University manga research scholar Nozomi Masuda says model Emiri Takami (who married politician Kunio Hatoyama, 1948-2016) played an important role in the decision to give Licca-chan a mixed background. Takami, whose father was Australian, was the cover girl for the weekly Shojo Friend magazine in the latter half of the 1960s. Yasuhiro Kojima, head of manufacturing development at Takaratomy, wrote in his 2009 book “Licca-chan Umaremasu” (“Licca-chan is Born”) that Takami was slated to appear in Licca-chan’s advertising campaign. The prototype of the doll was even called Emiri before it was ultimately named Licca. In addition to contributing to magazines such as Shojo no Tomo, which was highly influential on prewar girls’ culture, Nakahara also created a magazine in 1946 called Soleil, which is still a source of inspiration in the fashion industry today. Later, illustrators such as Makoto Takahashi and Eiko Hanamura were fascinated and visually inspired by Western culture, especially the things they saw in the postwar era. They popularized the sparkly, wide-eyed kawaii aesthetic that is still the norm in girls’ manga and characters goods today. The popularity of postwar girls’ manga such as “Candy Candy,” the creation of Licca-chan and the development of characters with foreign backgrounds such as Hello Kitty are some of the many ways Western influences have manifested themselves in kawaii culture. Waki Yamato’s 1971 series “Mon Cheri CoCo” features a heroine with a French father and a Japanese mother. 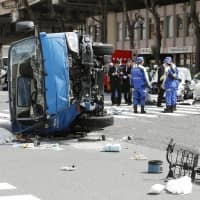 Masuda recognizes that these developments could be construed as denigrating Asian physical attributes and Asian culture. Conversely, however, this could also be viewed positively. The second generation of Licca-chan dolls appeared on the market between 1972 and 1981. The new incarnation was given some baby siblings as well as some pets. Two stars were added to the pupils of each eye, giving them more of a twinkle. Her fashion reflected the style that could be found in the streets of Harajuku, as well as a disco-chic aesthetic. There was an increased focus from work to lifestyle-oriented pursuits in society and, as such, Licca could typically be found roller-skating, scuba diving or riding a scooter. 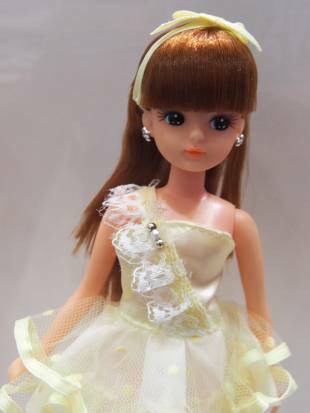 A third generation of dolls was produced between 1982 and 1986, and sees Licca-chan in the middle of the bubble era, when conspicuous consumption was in vogue and women flaunted brands. This incarnation of Licca-chan had long straight hair and a smaller, rounder face. Her hypergirly, colorful clothing was reflective of ’80s pop, replicating the idols of the time. She also wore glamorous outfits accented with pearls and lace, as well as prom-style dresses. 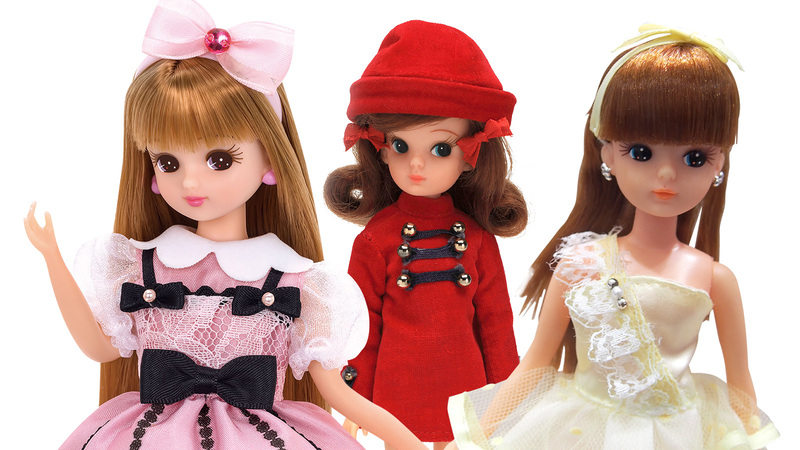 The fourth generation of dolls was released in 1987 and continues to this day, with Takaratomy saying it has no plans for another overhaul anytime soon. Licca-chan’s style and interests have diversified over time — in tandem with Japanese youth culture in general — and the doll frequently collaborates with brands such as Issey Miyake’s Pleats Please, Godiva Chocolatier and Kumamoto Prefecture’s mascot, Kumamon. She also makes regular appearances in advertisements and music videos. 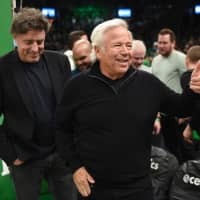 The doll has worked in a variety of jobs over the past 50 years, often as part of a tie-in with companies such as McDonald’s and Baskin-Robbins. Licca-chan has also been an advocate for global exploration since her creation, constantly jetting off to overseas locations. She has a slew of international friends and wrote an extensive travel blog in 2007 when she traveled solo to destinations such as Kenya, China and Finland. More recently, Licca-chan appeared in Instagram advertisements for cosmetics company Shiseido’s D program, which imagines what she would be like as a busy 30-year-old OL (office lady). She is pictured at a desk in front of a laptop and documents, with Post-it notes stuck to the computer, her arms and hair. Despite these seemingly prosaic jobs — at least compared to Barbie, who has campaigned for U.S. president every election since 1992 — Licca-chan has for the most part avoided the criticism her Western counterpart has received from feminists, who have accused dolls of establishing a false standard of gender roles and body idealism. At least one blogger has criticized Licca-chan’s creators for utilizing outdated gender stereotypes, insinuating that women can juggle their jobs in addition to using technology to help with their household chores even if their husbands are uncooperative. 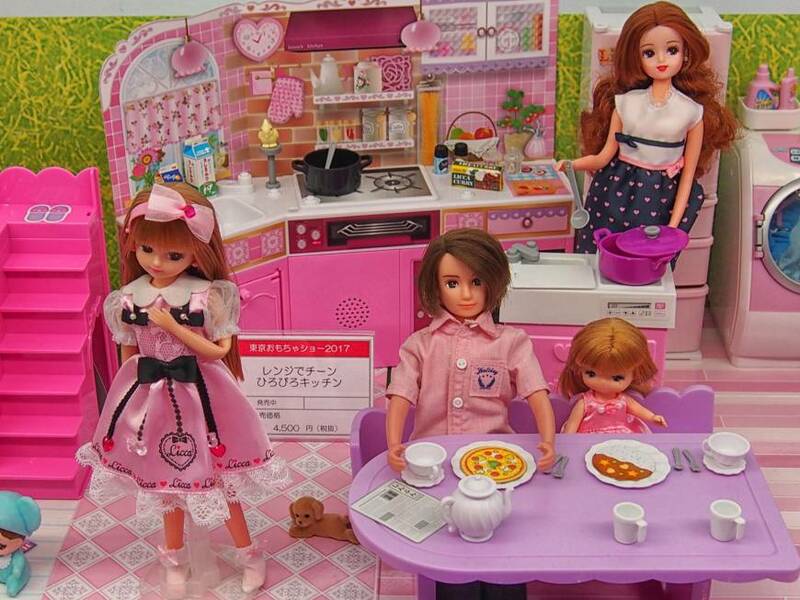 The blogger also pointed out that Licca-chan and her mother always appear to be cooking in the kitchen in product shots, while her father sits at the dining table reading a newspaper. Overall, however, fans in their 30s, 40s and 50s are increasingly expressing an interest in the doll. A line-up of models has been specifically created to target a more mature audience, while adults make up the majority of regular customers at the Licca Castle souvenir shop in Nihonbashi. Murayama thinks that social media has helped create an adult fan base. Ikeda began her collection just 15 years ago, when she stumbled across a Licca-chan doll on a Yahoo auction site while looking for branded goods. Ikeda is attracted to Licca-chan because of her narrative. Ikeda’s collection primarily focuses on the first generation of dolls, which are regularly sold for as much as ¥30,000, with rare models attracting higher bids. She also finds joy in rescuing disheveled Licca-chan dolls at flea markets and restoring them to their former glory. 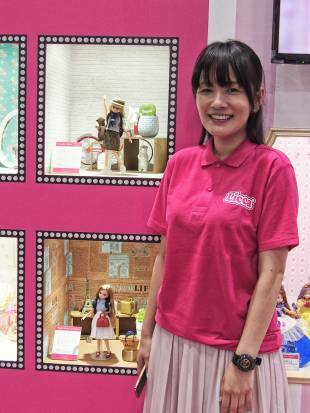 Communities of Licca-chan fans overseas have also become increasingly vocal on social media. Scrolling through the #Licca hashtag on Instagram reveals scores of women who take photographs of the dolls in elaborate homemade sets. One such fan, Florence Caoile, is a 33-year-old American woman who purchases Licca-chan dolls on eBay and Amazon. Speaking as an Asian-American woman, she finds the physical traits appealing. Yuliya Mokhova, a 41-year-old woman from Moscow, first received a Licca-chan doll from her mother, a former Japan Airlines worker. 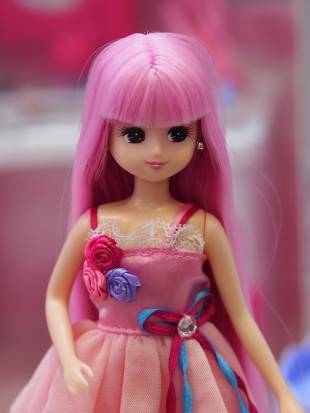 Mokhova says there is a large community of Licca-chan lovers in Russia, with second-generation dolls being particularly popular. She adds that she prefers Licca-chan’s “beautiful childish face with round cheeks” to Barbie’s overt sexiness when looking for a doll for her daughter. Licca-chan Castle’s Hakata is not surprised by the doll’s perennial appeal. “You can do the things you want to do with Licca-chan — she stimulates the imagination,” Hakata says. And now, she says, there are three generations of fans to continue the doll’s legacy.